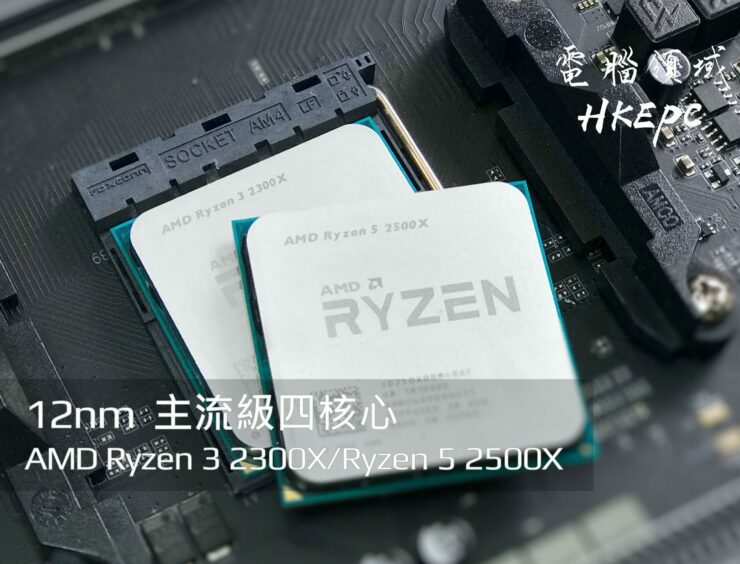 It looks like Asia Pacific based media are finally getting their hands on AMD’s upcoming Ryzen quad-core processors. 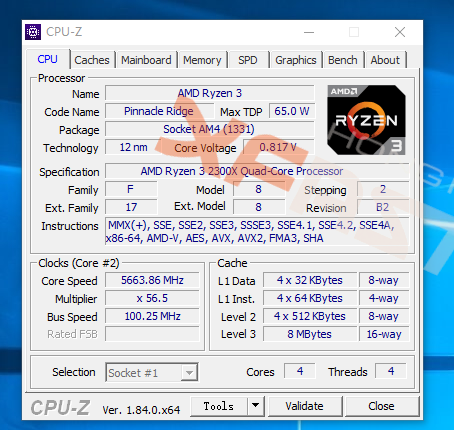 The new processors will be targeted at budget PC builders and include similar architecture improvements as the rest of the Ryzen 2000 series processors based on a 12nm process. 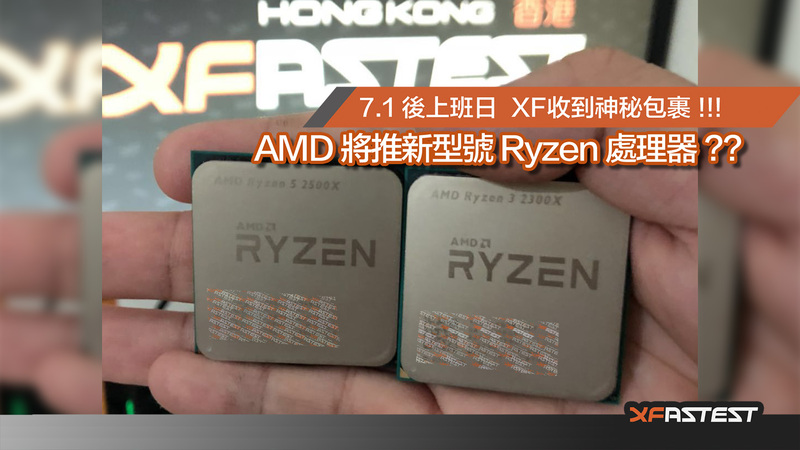 The processors were tested by XFastest, a well known APAC based tech media site who obtained the Ryzen 5 2500X and Ryzen 3 2300X. These two chips will be aiming at the budget market and will launch in a couple of months alongside the latest B450 motherboards which we covered over here. In addition to XFastest, HKEPC also has the samples in their hands so expect their full review in a couple of days. The quad-core processors have been part of various leaks over the last couple of weeks. 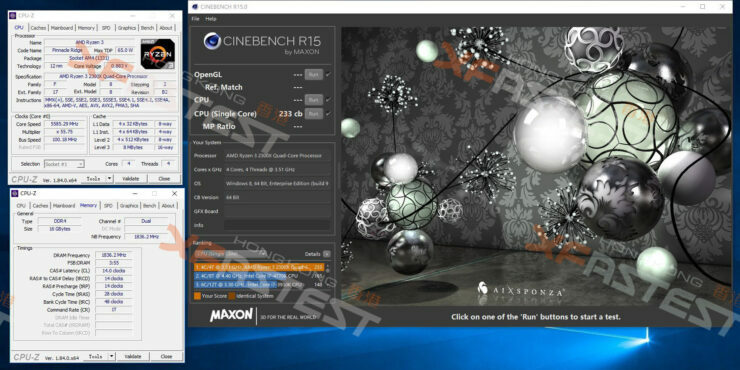 We got to see the Geekbench and CPU-Z results leak out and now, we are getting more detailed Cinebench R 15 and CPU-Z benchmarks, along with the first LN2 overclocking tests. 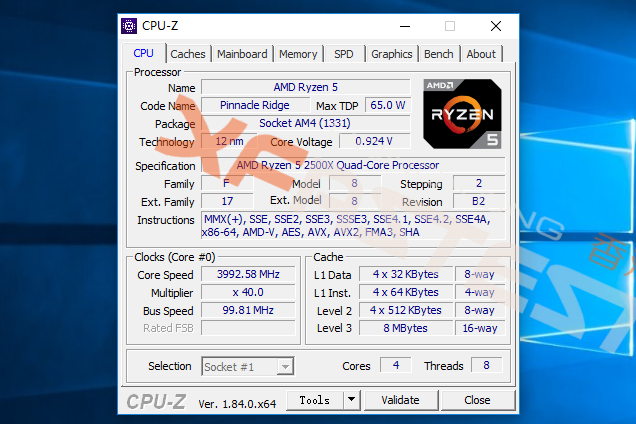 You can read the specs and performance results obtained below. 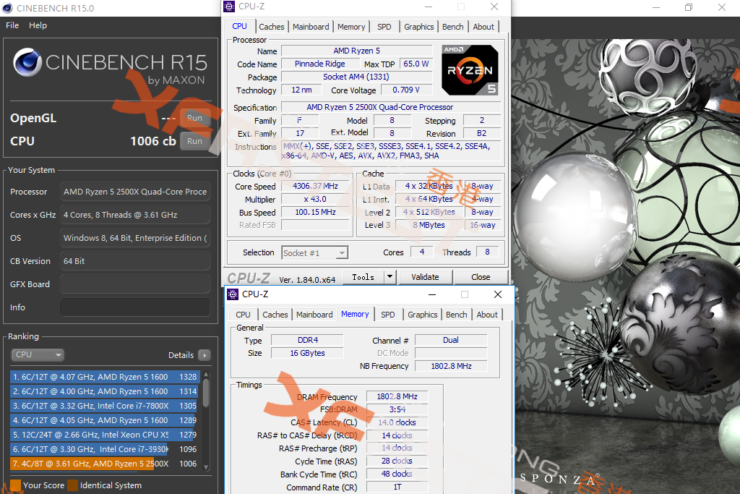 The Ryzen 5 2500X scored 1066 points in Cinebench R15 and boosted up to 4.3 GHz with the XFR technology. The CPU was tested with a 240mm AIO liquid cooler. The testing platform was an X470 motherboard with 16 GB (8 GB x 2) DDR4 memory clocked at 3600 MHz. This chip wasn’t tested at stock settings at all but rather, LN2 cooling. 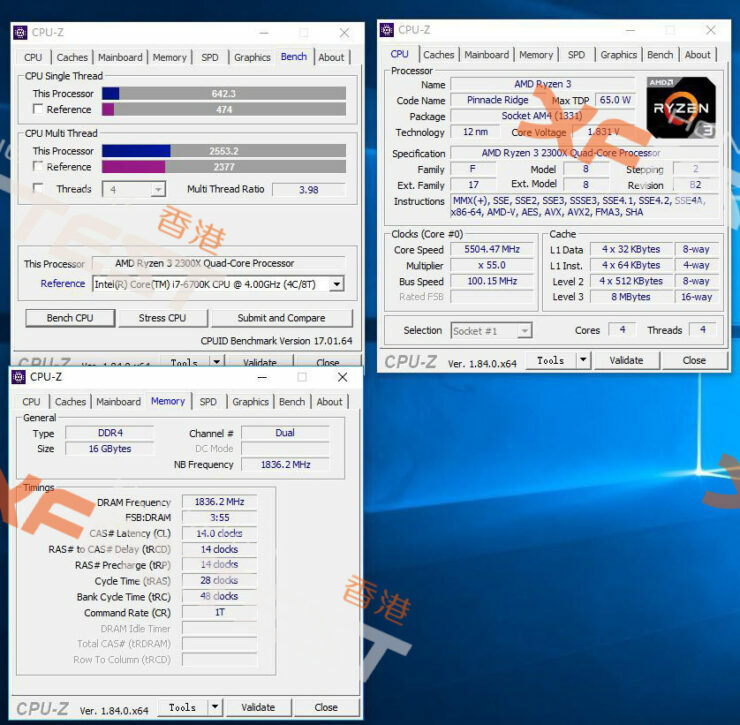 The XFastest testers used the chip to test out the LN2 overclocking potential of the Ryzen Quad cores and reached a frequency of 5663 MHz (5.663 GHz) with a voltage of 1.831V. The frequency wasn’t stable for the Cinebench run so they resorted to 5.5 GHz (5585 MHz) to test Cinebench and CPU-z. The Cinebench score reported by the chip was 895 points in multi-core and 233 points in single-core tests. In CPU-z, the chip reported a score of 642.3 points in single-thread and 2553.2 points in multi-thread bench. We can compare this with the stock configured chip which did 508.9 points in single-thread and 2020.6 points in multi-thread benchmark. Similarly, the chip scored 690 points in Cinebench at stock clock against 895 points when overclocked. Which of the two AMD Ryzen 2000 series Quad Cores is a better option for budget builders in your opinion?